You have chosen a Rectangular double leaf 180cm extending to 240cm x 110cm table, this will comfortabley seat 8 with any of the chair styles shown below. The teak garden furniture set of your choice will consist of the table with 40mm thickness top, 8 chairs, a parasol and 8 cushions. 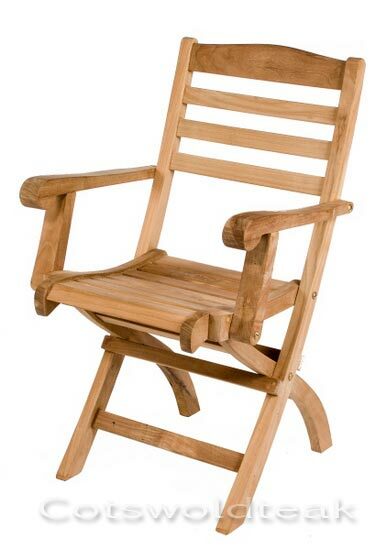 This will be delivered fully assembled by our staff and placed on your patio or in you garden. 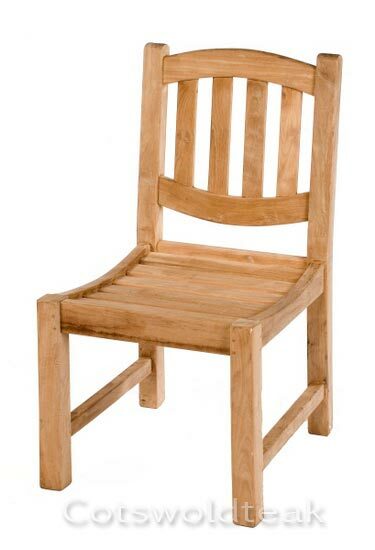 Please NOW choose the style of CHAIR, colour of PARASOL and CUSHIONS that you would like for your teak garden furniture set. Have a look at the options below then go to the options boxes at the top of the page to make your choice. Please note any combination is the same price. Images below show the table extending leaf mechanism, the leafs fold away under table. Parasol can be left in the table when either extended or closed. Step 2: Please choose your style of chair, (your choices are shown below), from the Chair choice box at the top of the page - either the Straight Backed Chair, the Folding Chair, the Oval Backed Chair or Stacking Chair, you can have 2 Carver Chairs (Grisdale or Malvern) in place of 2 of the Side Chairs, (small extra charge see chair options box above). Then proceed to the parasol choice box. All Chairs illustrated are at the same price. 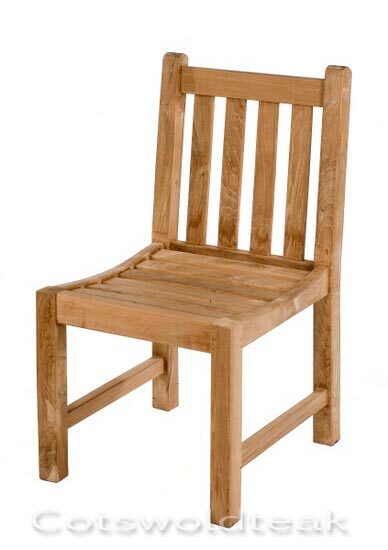 Click on Chair links above for information about each chair, (clicking on the link will open a new window). Step 3: Please choose Parasol colour (colour choices can be found in the Parasol Choice Box at the top of this page, choose Parasol colour then Cushion colour). 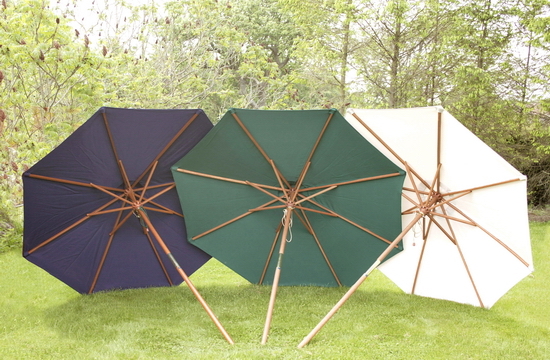 All Parasols are from the premium parasol range and have a 48mm diameter pole. 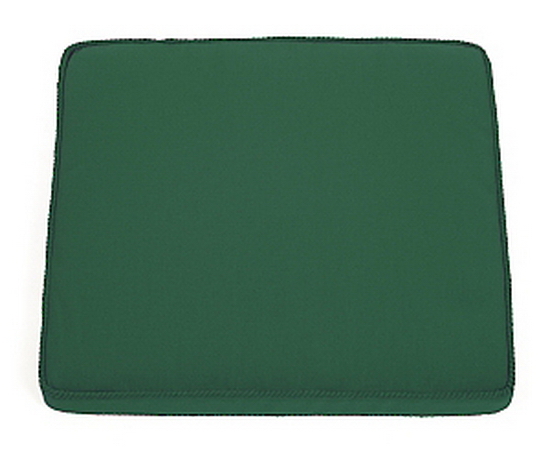 Step 4: Please choose Cushion Colour, (colour choices can be found in the Cushion Choice Box at the top of this page). Quality features include mortice and tenon frame on the tables and the seat and backs on the chiars with glued and pegged joints. Please note that all our tables and chairs are solidly built and must not be confused with inferior flat packed versions. The tables and chairs manufactured in our factory and are delivered to you fully assembled, (as shown above), which ensures quality, stability and longevity. Teak is one of the most durable and attractive hardwoods used for garden furniture and regular treatment is not essential. If left alone Teak naturally weathers to an ashy silver colour which darkens slightly each year, however if you would like it to maintain a Honey Brown colour we recommend using Teak Protector. Teak Round Table Seating 6. Discounted price includes Cushions, Parasol & 6 Chairs of your choice. Teak Oval Extending Table Seating 8. Discounted price includes Cushions, Parasol & 8 Chairs of your choice. Teak Round Table Seating 8. Discounted price includes Cushions, Parasol with 8 Chairs of your choice. 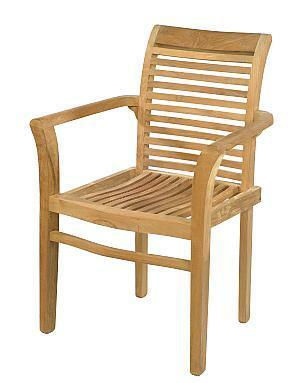 Click the button below to add the Teak Rectangular Extending Table Seating 8. Discounted price includes Cushions, Parasol & 8 Chairs of your choice. to your wish list.